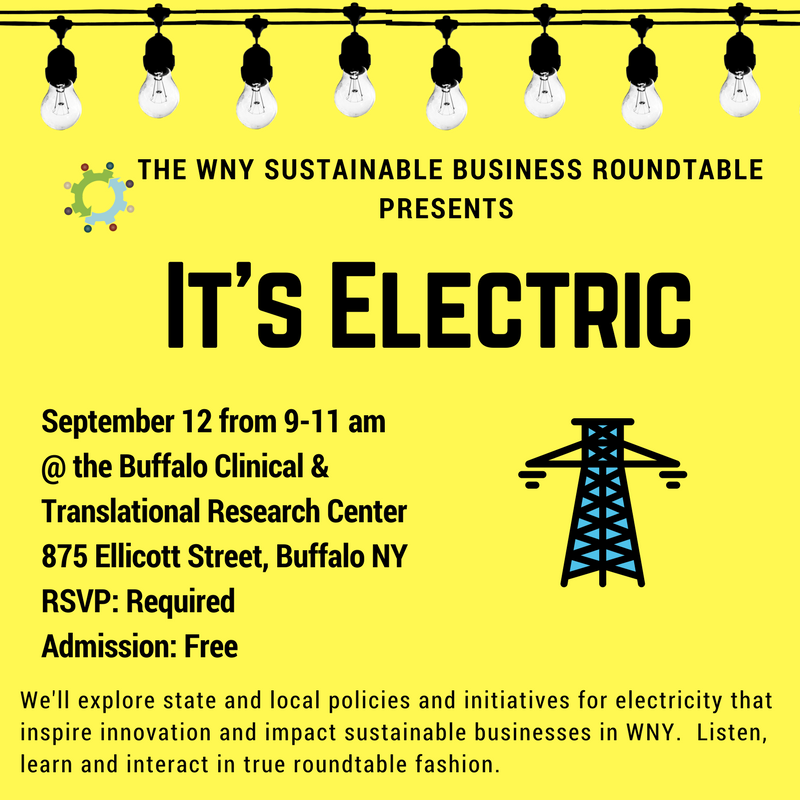 We’ll explore state and local policies and initiatives for electricity that inspire innovation and impact sustainable businesses in WNY. 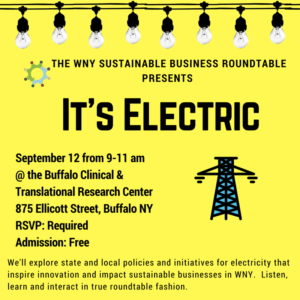 Speakers include Lt Governor Kathy Hochul, Ken Kujawa (National Grid), and Paul Tyno (Buffalo Niagara Medical Campus). After individual presentations, the interactive roundtable will be moderated by Ali Adelman (Wendel).